Pipeline ROI ensures maximum exposure for your listings. 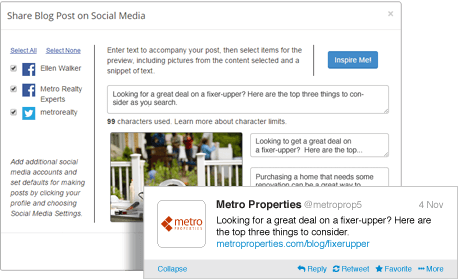 From Facebook and Twitter to e-mail and blogs, you’ve got the tools to make sure your listings get seen by the most buyers possible. 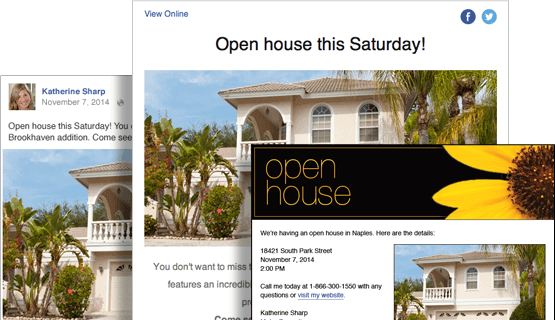 Boost your open house traffic by promoting your events across multiple networks. 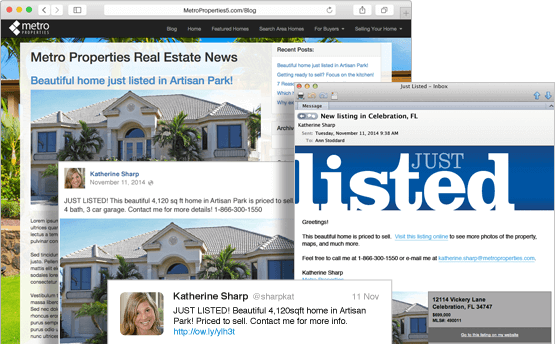 Start with automatic open house postings on your blog, then promote that post across your social posts and in e-mails. With all this advertising, all your contacts will know which houses you’re presenting. It’s one thing to run a passive blog just to boost your search engine ranking. It’s another to treat blogging as a contact sport. With our social promotion engine, you can rest assure that all your contacts and all your social connections are seeing your blog posts and coming back to your site to read them. With website content this good, you’ve got to show it off. Our built-in social media tools make it easy to share your content to Facebook and Twitter, so you can drive traffic back to your site.